I received complimentary LED Candles for this post. All opinions are my own. 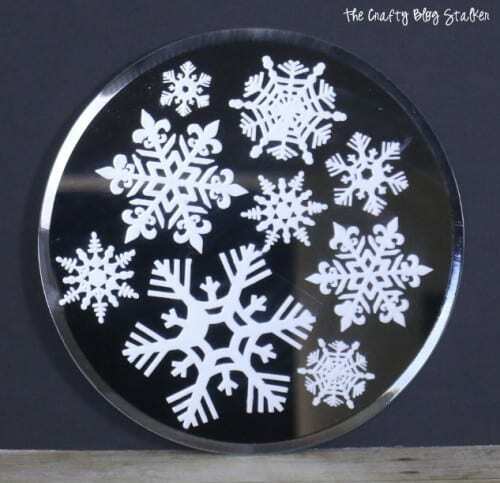 Create a beautiful glass etched snowflake candle mirror plate. 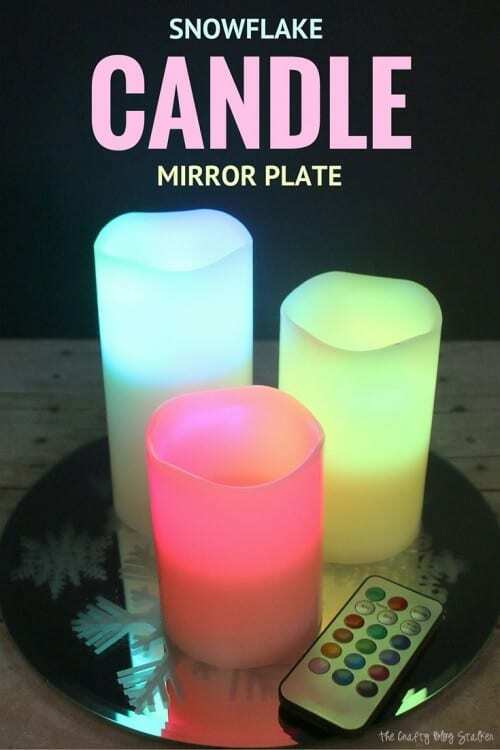 Adorn with LED Candles and you have a simple centerpiece for the perfect home decor piece. 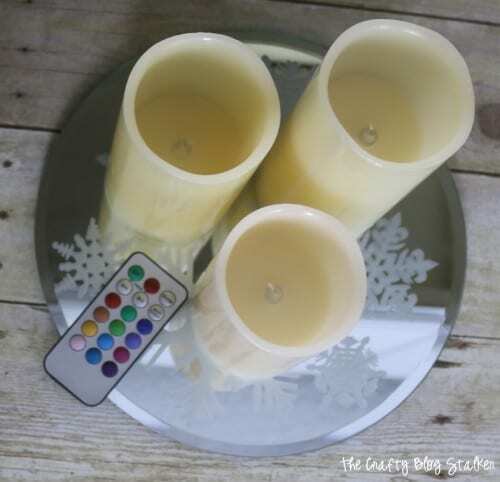 Candles are a fun and simple way to add a little decoration to your home. 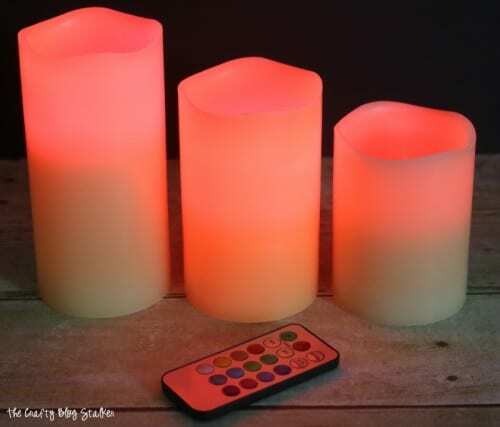 Recently I received these totally awesome LED Candles and was asked to do a review on them. I had been wanting to do a candle plate tutorial at some point, now I have the perfect excuse! I’ll talk more about these super cool candles in a minute. 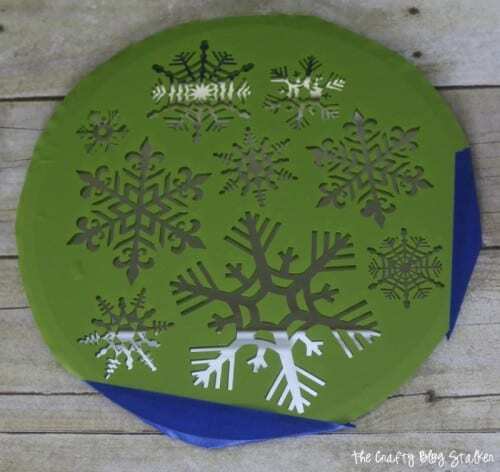 I want to start with the Snowflake Mirror Candle Plate tutorial. 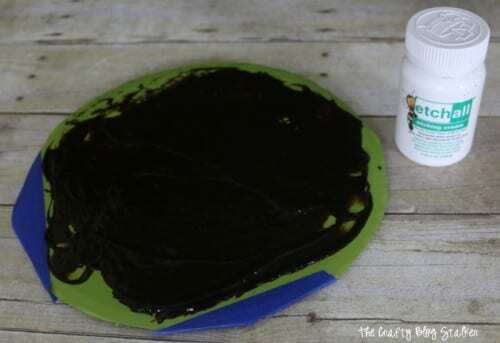 Here is a list of the supplies I used. Some links may be to similar items when exact items couldn’t be found online. 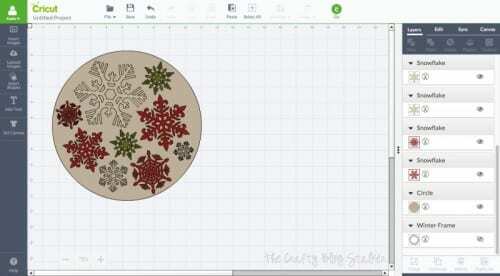 I started at my Cricut and created my own design made from Snowflake Files in Cricut Design Space. The color of vinyl I used wasn’t important because the vinyl is going to act as my template and then will be thrown away. I just used some I had extra of, and cut the template out on my Cricut. 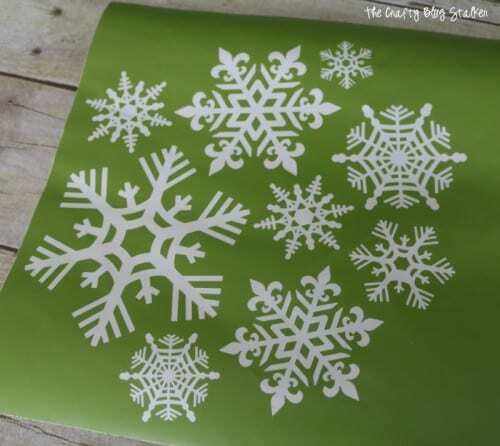 Once cut, I removed the snowflake shapes, it is the negative of the vinyl that I want this time. Using some transfer paper, I carefully removed the back paper from the vinyl and adhered it to my mirror plate and removed the transfer paper. I only want the snowflakes to peek through the mirror so I covered the extra open edges with painters tape. Apply a thick layer of glass etching cream to the top of the mirror and let it sit for 15 minutes. Etching cream will only effect the open areas of the template. After the 15 minutes, scrape off the excess etching cream and you can actually put it back into the bottle and use again next time. Then rinse with water and remove the vinyl template. 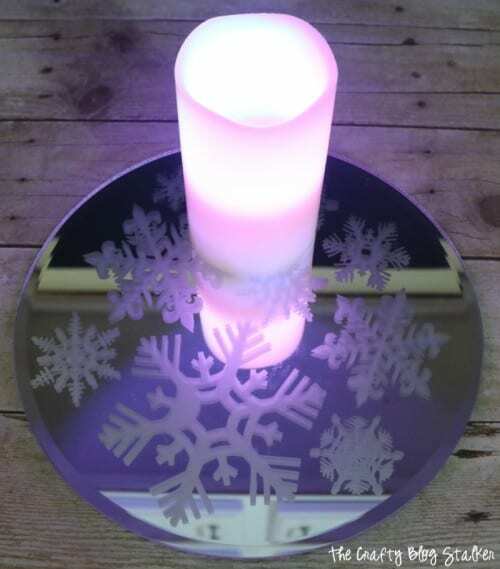 This is how the candle plate looks when it is complete! Isn’t that awesome! Now all it needs is some beautiful candles to hold. Now let me tell you about these totally cool LED Candles. This set comes with 3 different height candles. The outside of the actually is wax so they look like just like candles should look. 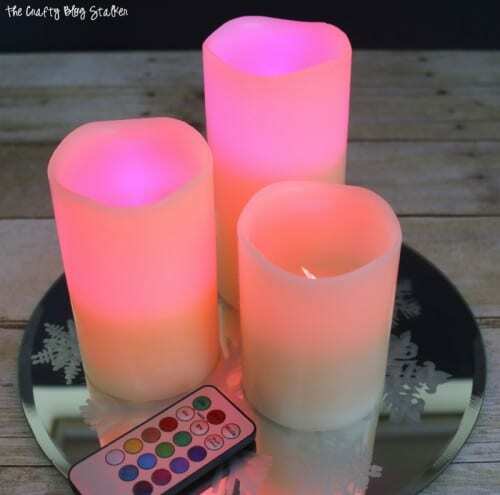 The candles come with a remote that lets you decided what color you want them to glow, and how long to stay on before they automatically shut off. My favorite is that the candles and the remote come WITH the batteries! So you don’t have to make sure you have those when you get them out of the package. There are 12 color choices and you can either set it to one constant color or let the candles rotate through the different colors randomly. Here is a video so you can see how beautiful these candles glow. If you like my video subscribe to my YouTube Channel so you don’t miss out on any future videos from The Crafty Blog Stalker! I think they look beautiful on my new Candle Mirror Plate. 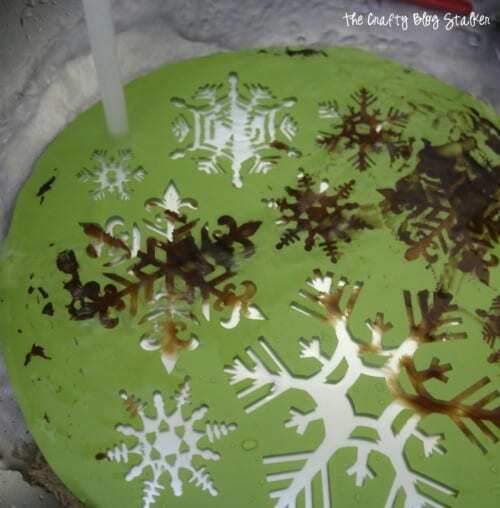 The color glow of the candle is really picked up in the snowflake etchings in the mirror. To purchase the LED Candles visit Amazon. They really are perfect for all year decorating. How or where will you display your candles? The candle plate is so pretty!!! LED candles are the best- no worries about the kids or dogs knocking over a candle & starting a fire. Thank you Chris! I agree. I love LED candles! Greetings from Dubai! Loved the idea and the candle plate looks fantastic. Have a great week ahead! Wow! I love it…it looks so professional. Thanks for sharing your tutorial with us at Funtastic Friday. Such a beautiful decoration! I love it!!! Thank you Sarah! It is a fun project to make. I am so glad that you like it!